If you are a professional architect or an architecture student that is looking for ways to make your work in designing much easier, there are architectural design software that can meet all your needs. 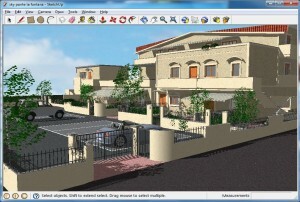 You can use these software to help you in your projects and even in starting to design your future home. These software can help you in making a 2D or 3D designs and mostly have automatic feature to make designing easier. They come in many types that suit the designer’s needs. There are even software that can be used by beginners and those who have little experience in architectural designs and some have sophisticated features that require an experienced architect to operate and understand the software. In this top 10 list, we feature the best architectural software that is easy to use and understand for all aspiring designers and students that are only beginning to explore the designing world. There are many people that use this software because of its stability when it comes to the platform that they can work on unlike other software. They also find it easier to use. There are some problems with using this software, it is its compatibility and it may cause some workflow problems to the user. Some of the images that are from an AutoCAD can’t be viewed in Microstation. This results in seeking help from an architect to do the bindings or do the necessary changes on your own. After Google purchased the rights of this software, it software is now becoming popular and known to users. 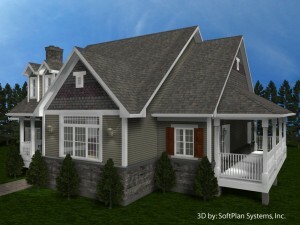 This software allows the user to quickly and easily make 3D building designs. Though the features that it has may be as sophisticated as you can find in other software, its price is reasonable especially if you don’t need a sophisticated software in the first place. This software is a great deal for students that are looking for software that can generate 3 dimensional designs in short amount of time and for people is just starting on their architectural careers. This is a software is built for building information modeling or BIM, which is the key for a sustainable design. The changes that you will make will be automatically coordinated throughout the project that you are working in. This will help you in making a consisted and complete project. The features are easy to understand to help you start a complete, consistent and error free designs. You can you this software in Windows Vista and XP. This is easy to use software that you can use on all your designing needs. It also support building information modeling that gives a complete documentation, 3 dimensional designing capabilities, list of materials and real time cost estimate repots. The changes you will do on your design will automatically coordinated throughout the project that you are working on. 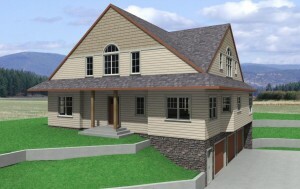 This is the best choice when you are working on residential and commercial designs. 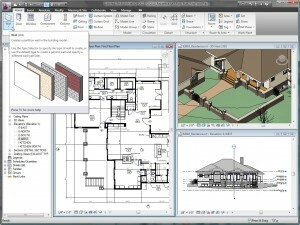 This software works in ways that can that architects and designer needs. By doing so, this can make it easier for designers to make high quality designs that are accurate. This design software also support the building information modeling workflows which means that you can also get and analyze each concept, meet all your goals throughout the design, documentation and the overall construction of the project. This is a standalone application and is the best solution if you are looking for functionality. It also comes in different editions that have specific features that can meet all your design needs. It may not be as simple to use as the other software, but through its complicity the designer can produce extraordinary results and generate exceptional projects. The long and sometimes frustrating hours that you will have in learning will all be worth it, especially when you can already make fast and unique designs after some time. This software also supports building information modeling. It is actually an easy to use application when you get used to it. It is the software that is suitable for those with experience and those who want to have the best results. It is not recommended for first timers in architectural design. 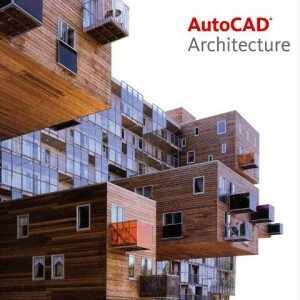 AutoCAD Architecture is a version AutoCAD that is created especially for architects. It has features that allow architects to do a more efficient drafting, creating designs and documents that are familiar to them. 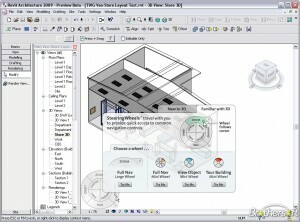 They have the same platform as AutoCAD that will make it easier for experienced architects to understand. There is a free trial version that you can try before you purchase this product. This AutoCAD package is tailor-made for an architect that is enough reason to get this software. 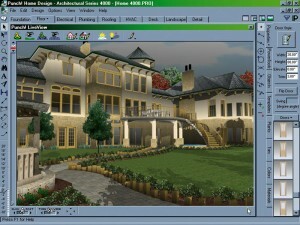 This self-entitled America’s#1 Home & Landscape De sign Software is an application that combine NexGen power with the stunning realistic photographic quality from LightWorks that will allow the architect or designer to generate realistic and great residential designs on their own or for their clients. They have packages that can meet the architects’ needs when it comes to design. The software is compatible with Windows and though it is pricy, it can always produce the great results. This is professional design software that can help generate 3 dimensional designs. It has automated tools that can make home design and remodeling easy. This is the software that most architects prefer to use in 2D or 3D architectural design because it is easy to use and can still give the results that they want. This is an all-in-one software that you can use in 2D and 3D projects. It can also be used by first time designers and architecture students. It is user friendly that first time designers and architects can easily maximize the software’s potentials. It also has almost all the features the other applications have, but they can never top the efficiency of this software. hey 10th number(top) software is best or number 1 (last)?? I am lost for words after seeing this list. I would not put half of them on my top 25. Most of those softwares are almost a joke. Rhino, Maya, 3DS Max and The Adobe Suite should have been the top 4. This was obviously written by an aging architect or an out of touch Student. Can you make construction drawings with the software you mentioned? Exactly. What he mentioned are more equipped for animation. Wow! What an inaccurate list of programs. Not only are the grammatical mistakes and lack of cohesive sentences annoying; the list of programs is terribly inaccurate. Here are my top ten based on relevancy: 1.) AutoCAD (still the No. 1 program used in arch. firms whether you like it or not), 2.) Revit, 3.) SketchUp, 4.) Adobe Suite, 5.) 3DS Max, 6.) Rhino, 7.) ArchiCAD …any other program after these plays an insignificant role in the architectural design industry. I appreciate your comments and obvious knowledge of available soft ware. 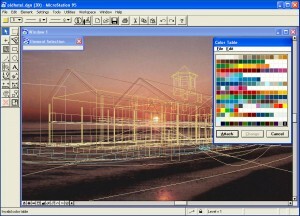 Are you aware of any architectural sketch/trace software similar to Architectural Studio v3 that was offered Autodesk until 2004? Couldn’t agree more! As I was reading this I had to think who got paid off to make this list. these are true architectural softwares, not adobe and 3dsmax, rhino, or (S)ketchUp..
Chief Architect is where it needs to be. It is a great program. 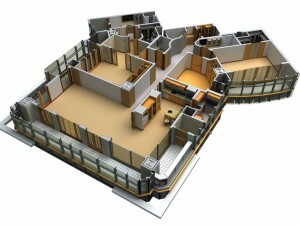 The program allows you to show uncertain clients exactly what their house will look like within the matter of seconds. That is the program of my choice and that is what my business runs on. An unbelievable generating function are at solid proportion so as to the quantity of visits one can believe on the net web page, because of this increasing the complete gross sales. Pay a visit to with regard to more generating guide. I have Chief architect and I find it to be very un-intuitive and difficult. I, and others, cannot print some layouts, for example, after following the instructions exactly. No flat roof design. Just the layout tutorial is shallow and hard to understand. Be sure with the trial before you buy it. I dunno about all of them, but I’ve used Chief Architect in the past for small house drawings, like private houses and etc., but found many weaknesses when it comes to more complex projects. That’s why I wouldn’t include among top I to 10. 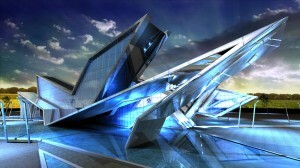 Now I use Arcon Evo architectural design software. Very intuitive and most importantly flexible software that allows to change features and create specific design. Gotta it from http://www.3darchitect.co.uk Pretty well stuff. Support is very good. Just call them, no charges. People will refer you a lot for the architectural design app but i will refer you just one. The AutoCAD Architecture design software is the better one. You can work here easily and swiftly.